In order to get accurate information for your non-fiction book or article you need to do a certain amount of research. 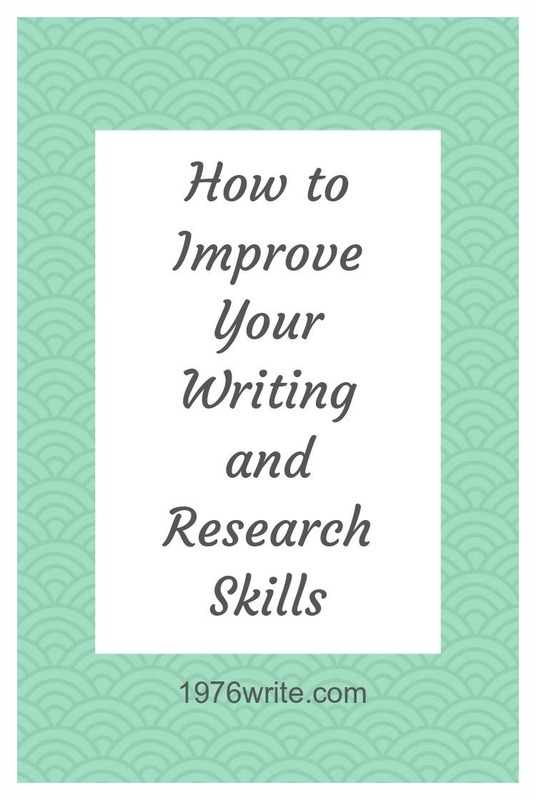 A big part of non-fiction writing is research, this shouldn't feel like a chore or consume most of your hours spent writing. 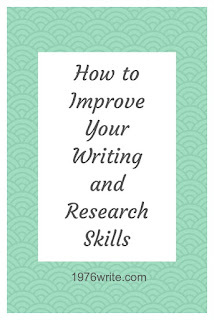 Research should be taken seriously but also feel enjoyable, something you want to do when you're writing. Discovering new things and uncovering answers to questions should feel natural on your writing journey. A lot of writer's will swear by "write what you know", but if you're a writer that wants to grow you should be delving deep into areas that are unfamiliar and unknown. This is a great way to build your portfolio, especially if you're a freelance writer and you're looking for work online. If you you've just started freelance writing you may not realise that most editors want flexible writers who can turn their hand to any subject matter, and who can breathe new life into old topics. It's impossible to know every last detail about a topic but your writing will have more depth, authority, and will become a valid source of information, to put it simply, you'll become a valuable authority in your chosen niche. Do a targeted search online - Analyse related websites and blogs in , it will be worth it in the long run. Read, read, read - Start reading books, magazines, journals to understand the trends, jargon, leads, and ideas. Try other multimedia sources - A quick way to soak up information, and facts as well as build a foundation watch documentaries and CD-ROMs. If in doubts ask an expert - If you want confirmation ask a higher authority such as an expert in your chosen field. Let it rest - Give yourself time inbetween, then go back to it later to nail any discrepancies in your story. While the above won't make you a legitimate expert, it will help you to take on any topic that's put in front of you. A crucial part of researching your story is finding the correct source needed. You should have a few ideas already if you've already tackled your topic. An idea can start when you've read or seen something interesting, may be even a conversation. Try backtracking and find out who you talked to originally. People have some really interesting ideas and interesting information, making them a great source to use. There is a whole wealth of information at your fingertips if you have experience working alongside other writers. Use the internet, news groups and email lists, these are all great options. When you start researching for a particular area of expertise a good place to start would be associations such as the American Medical Association or American Bar Association who maintain lists of experts in particular topics and can guide you to a qualified person. Make sure they don't have their own agenda. Make sure they know their subject matter, ask them about experiences they've had. Make sure they have relevant degrees in their chosen subject. Make sure you know how they stand in their own community of experts. If you're like me and like to write everything down, then you realise how important it is to organise your information if you need to reference it again. A filing system of some kind is a good start, or may you like keeping notes on your PC. 1. Order your past work - Start an index of your previous blog posts or articles, so they can be reused, or accessed for information. This way you'll have them at hand when you need them. 2. Pay frequent visits to your old files - There is nothing wrong with having an accessible archive of information, or library full of internet bookmarks. Just make sure you check through it every few months so you can remember which files or bookmarks you've saved for future reference. 3. Single out useful data - If you have a huge archive of paper files or computer files, you need to start culling them and deciding which information is the most important to keep. Try organising on a regular basis and get rid of the information you don't use. 4. Glean the best from your files - Swollen files can be burdened with old data but also contain nuggets of useful reference information. Weed out the useful information in your files every few months. Remember to check any information before you throw it out because it may be useful later on. Having a useful workable system that works as an easy reference for information is definitely worth its weight in gold. Research should be a joy not a chore. Set some time to one side and use it to sort out the information you have, make your writing life better starting today!